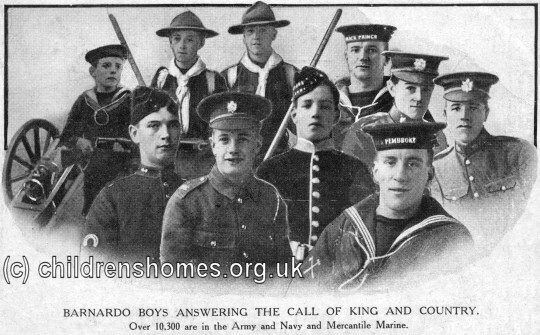 The First World War (1914-18) had relatively little impact on Barnardo's activities although the contribution of its boys to the ranks of the fighting forces was much promoted. World War Two was to prove rather different, however. 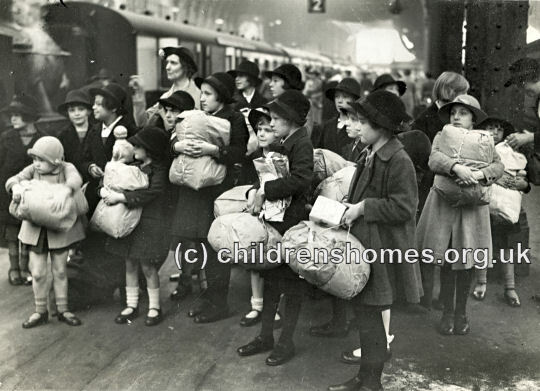 As early as September 1938, the Home Office advised Barnardo's to move children from the Girls' Village Home and Boys' Garden City to safer locations in the south-west of England. Within three days, over two thousand children had been evacuated. With the declaration of war in September, 1939, far more extensive plans were put into place for the evacuation of children from homes considered potentially vulnerable to enemy bombing. The government had urged owners of large country houses to make them available for wartime use and dozens of these were eventually occupied as Barnardo's evacuation centres, many located in East Anglia and in Scotland. Although such mansions might viewed as the height of luxury, their new young residents were often crammed into back rooms with poor or non-existent plumbing. Water for washing had to be drawn from wells in buckets and the children bathed in kitchen sinks or tin baths in front of a fire. 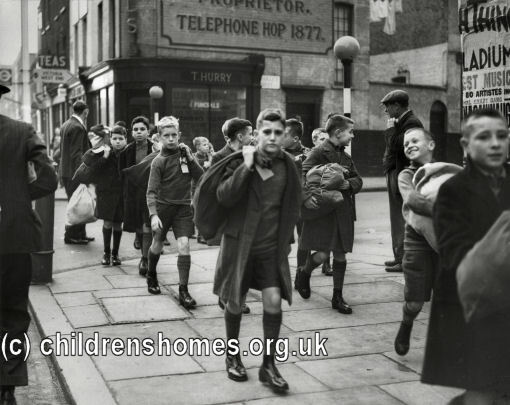 Local schools were unable to cope with such large influxes and the education of the evacuees often suffered as a result. The 1940s also brought many changes behind the scenes at Barnardo's. Between the wars, steady improvements in state welfare provision such as unemployment and sickness benefit, school meals and milk, and a schools' medical service, had made significant inroads into child poverty. The needs of deprived children were increasingly as much about the emotional and psychological as well as the physical. The war had also brought about an increased need for co-operation rather than competition with government departments, local authorities and other voluntary agencies. A Ministry of Health report about failings at the Dame Margaret's home in County Durham added to the impetus for a more modern and professional approach by the organisation. 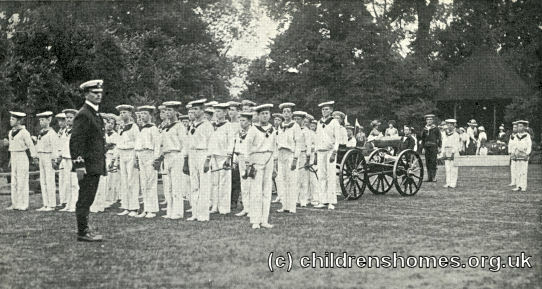 Another challenge taken on by Barnardo's at this time was the running of two Approved Schools: Druids Heath in 1940, and the Quinta School in 1941. To help meet these new demands, a training school was opened at Woodford Bridge in October 1941, with students studying topics such as the care and welfare of children child psychology, first aid, hygiene, children's games, biblical story-telling, account-keeping, cookery and mending.